Fist of the North Star is one of the most popular Japanese manga series in history, starting out all the way back in 1983. TV adaptations, novels, and live-action films capitalised on the original 27 volumes in order to continue and sustain the legacy of legendary martial artist Kenshiro, but when it comes to the latest entry in the franchise, you won’t need any prior knowledge of that backstory whatsoever. 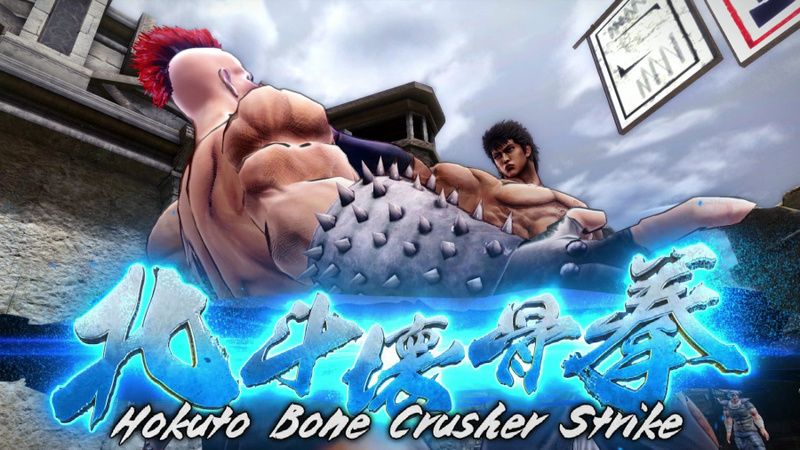 Fist of the North Star: Lost Paradise is a standalone story that both newcomers and veterans can enjoy, and we recommend you do so, because this is yet another Eastern-made extravaganza you won’t want to miss. With the love of his life, Yuria, assumed to be dead, we meet Kenshiro as he wanders the wastelands in search of confirmation. 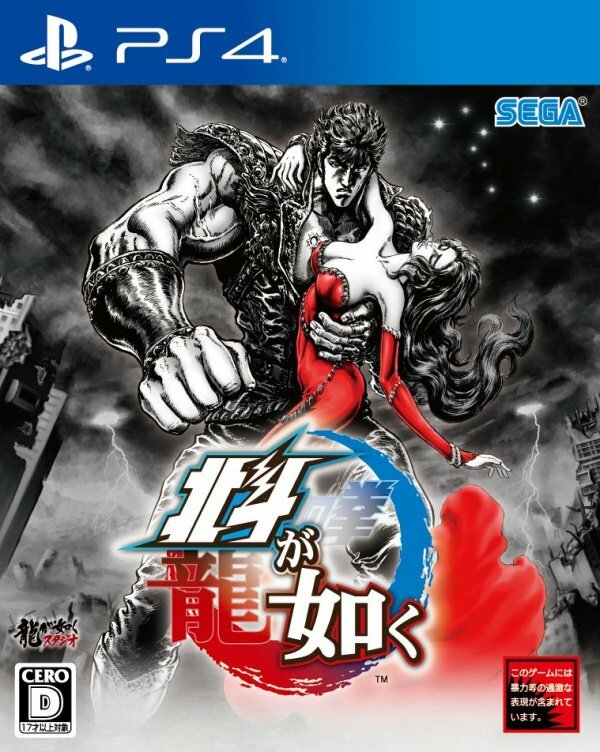 The warrior’s childhood friend, Shin, is said to have been the one who ended her life out of jealousy and lust, but with rumours floating about of her survival, Kenshiro wants to know the truth. And after a tip-off points him in the direction of the City of Miracles, he sets off in search of answers. In traditional fashion however, this only scratches the surface of the tale you’re about to unfold. As well as making inquiries about his sweetheart, Kenshiro manages to get wrapped up in the politics and struggles of the city. This leads to a number of narrative beats that’ll surprise and shock you, with twists and turns aplenty. The plot does lose its way a little around the halfway mark, with objectives that feel like nothing other than busy work and backtracking that merely pads the title out, but it manages to pull itself back together by the time the final hours roll around with betrayals and double-crosses galore. It’s safe to say that you’re strapped in for a rollercoaster ride of emotion, suspense, and elation by the time the credits hit. In the lead up to release, comparisons have been made between the game and the Yakuza franchise, thanks in part to the fact that they share the same developer. 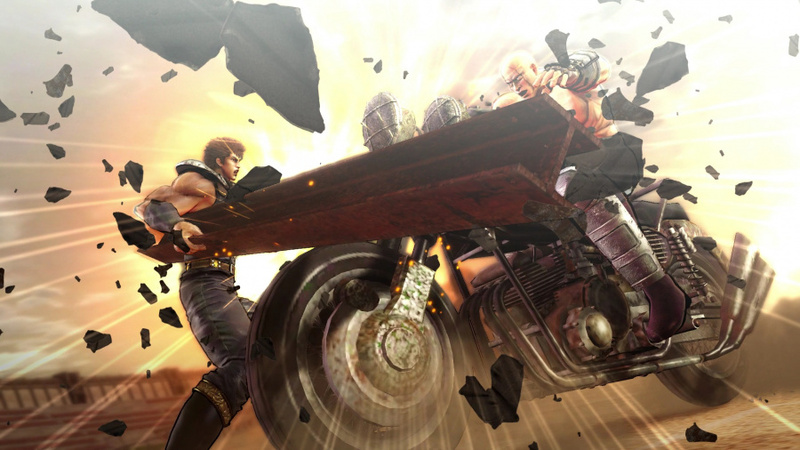 Fist of the North Star: Lost Paradise does indeed look and play very similarly to the more recent Yakuza titles such as Yakuza 0, Yakuza: Kiwami, and Yakuza 6: The Song of Life, but there are a few important distinguishers. Surprisingly, the most standout correlations between the two are actually found outside of the action. For example, the map screen is modelled in exactly the same way that Kamurocho is, with the same icons and colours used to highlight different areas of intractability. Elsewhere, minigames and substories make a return, which play out in mostly the same way, although in terms of optional quests, none of the handful we encountered were quite as barmy or barbaric as the trials and tribulations of Kazuma Kiryu. It’s a very similar gameplay loop of engaging with side content, taking part in surprisingly deep minigames, and beating up bad guys on the street, but perhaps the experience’s biggest departure from the Yakuza formula can be found in its combat mechanics. 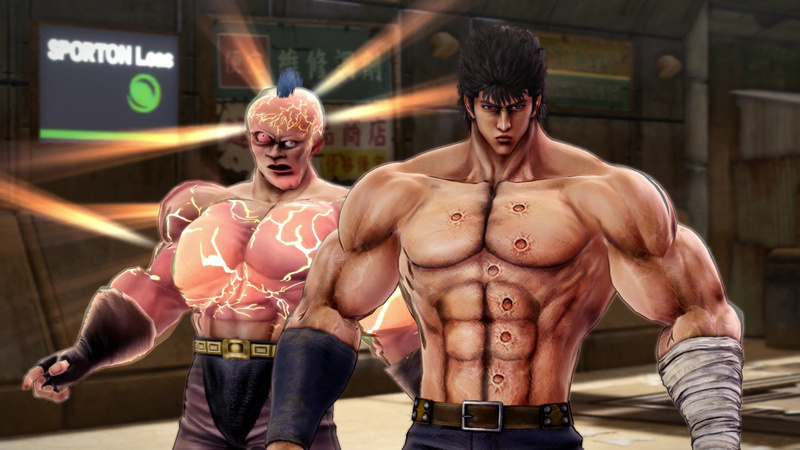 In battle, Kenshiro sticks to the tried and true nature of Hokuto Shinken, the martial art of which he is the heir of. The fighting style is said to allow him to decide who lives or dies, and because of that, things get particularly gory during combat with enemies exploding left, right, and centre. It’s quite a sight to behold, but the attacks that lead to their demise are just as deadly. You’ll create combos by mixing together light and heavy attacks, while performing a technique when the time is right. Known as striking a hidden channelling point, these deal a huge amount of damage while looking incredibly flashy in the process. Besides that, you’ll be building up a meter with every punch and kick, which when full allows you to enter Burst Mode. With the damage you deal significantly boosted, you’ll be taking out tougher foes in no time, while Destiny Talismans act as abilities you can activate in certain situations. Performing these techniques on combatants is clearly the highlight of combat. 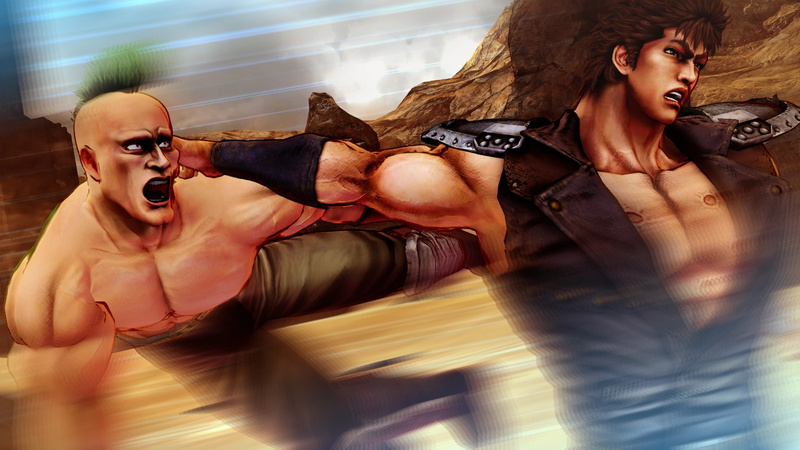 Through a series of quick-time events, you’ll carry out a particularly flamboyant attack while Kenshiro calls out the name of the move. It makes you feel like the coolest guy on the planet when you’ve brought death upon an enemy while shouting out Stone Mountain Splitting Slash, Hokuto Hundred Fist Rush, or Two-Finger Interception. Eliminating bandits will also net you XP for level ups, which in turn hands out orbs for placement within the four branches of the skill tree. Focusing on your health and attack damage, special techniques, Burst Mode, and Destiny Talismans, this is another mechanic that borrows heavily from Yakuza. With a very similar layout and the same limit placed on your expenditure of orbs, it’s not exactly inspiring nor exciting when it comes to the allocation of upgrades. When you’re done fighting, it’s all about soaking up the atmosphere surrounding Eden. The wasteland that engulfs the city is a desolate place almost completely devoid of food and water, while the City of Miracles is in complete contrast. Full of things to see and do, it’s the hustle and bustle of the people you come across that will get your imagination going. Flashy shop signs and ads demand attention, while humorous item descriptions make you a loyal customer. It’s a city that feels alive despite the doom and gloom that surrounds it, and you’ll want to explore and uncover every last inch of it. It’s this vibe that sets the likes of Fist of the North Star apart from anything else. The eccentric characters you’ll meet along the way are going to stay with you for a long time, while the Japanese style of comedy is certain to draw a number of laughs from even the most pessimistic of person. Lyra, the governor of the Gladiator Games, smokes a cigar the size of her face, while Kenshiro delivers every single one of his lines in the most serious of tones, which sets up some pretty funny scenes. A full playthrough can be completed inside 20 hours, while fully engaging with the minigames and ticking off substories will stretch your playtime to 30 and beyond. This gives you more than enough time to enjoy the English translation, which isn’t fully voiced in its entirety, but does a great job of conveying mood, tone, and irony for the Western audience. 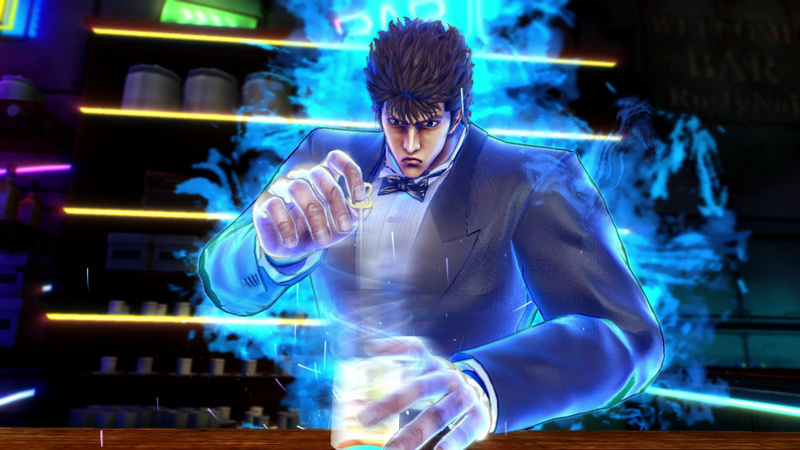 When it comes to making you feel like the coolest person around, Fist of the North Star: Lost Paradise succeeds on every level. While its structure may borrow a little too heavily from the Yakuza series, combat is the real differentiator with unforgettable techniques that’ll really leave a mark and combos to finish off even the most foreboding of enemies. Those looking for their next dose of Japanese flair will most certainly be hooked, because Fist of the North Star: Lost Paradise is everything we were hoping it would be. If anyone has any questions whatsoever, feel free to @ me! @LiamCroft How does the framerate hold up on this, on the Pro and on the standard PS4 (if you've seen it run on that)? The art style looks great! Unfortunately this won’t be Day 1 for me. I gotta get on that Yakuza Kiwami 2 I have sitting here. I’ll definitely have this game by the end of the year though. @LiamCroft Does it feature the 80’s blood gushing sound effects from the series/movie or is everything modernized?! I feel like this game could get away with using modern technology to create an “80’s anime”. Would love to give this a go but I just have far too much in my backlog and there are too many heavy hitters coming to find time. A shame because it looks very enjoyable. Don't know.but I do know it's more bloody than the Japanese version, more blood and red in colour. @LiamCroft Mechanically does the gameplay feel repetitive? I mean I've played the demo and watched some gameplays online but it seems like its basically just mashing square, followed by either circle or triangle and then maybe a QTE after that. An actual good PS4 exclusive anime game. Beat that, Bandai Namco. I'll put that on my list of Team Yakuza games I still need to play. Right after Yakuza 6. @WanderingBullet It ran at a solid 60FPS on my Pro with no noticeable dips at all. Haven't been able to test it on a standard PS4, although I know that version targets 60 as well. I have a feeling it'll be a while before I get to this. The game is way too similar to Yakuza, and I can see those entertaining special techniques getting old after a while. @WanderingBullet You are going to be mashing square a hell of a lot to put down enemies, but the techniques you can pull off once their meters are full are very much worth it. @LiamCroft Thanks! I think I'll get this later down the line when it's on sale then. Oh, I think your answer regarding the frame rate was meant for Turismo4GT. I tried the demo.. it was quite dissapointing to be honest. I might pick it up once it's heavily disscounted. It looks awesome, it’s on my radar. The demo was a lot better than I was expecting. Attacking enemies with super overpowered moves causing them to explode always feels cool. @LiamCroft can you play as Kiryu from start to finish? Might get the game tomorrow, might wait a bit as I still have a few others to complete first. Either way, I loved the demo and happy to see the full version is a pretty good game. @AFCC The DLC isn't available until the game releases tomorrow, so I honestly don't know. I did find an NPC that is supposed to give you DLC items though, and I encountered them in chapter 4. @LiamCroft I will only play this game as Kiryu! It was a toss up between this and Assassin's Creed, both of which I am keen to play. Because Red Dead 2 is on the horizon I opted for North Star as I didnt want to suffer any open world game fatigue by rolling from AC straight into Red Dead 2. I also wanted to support the devs and publishers of these kinds of titles, I truly believe games like North Star add so much variety to the PS4 catalogue and as such, I like to give them my money. This game looks cool, but more than likely will wait a year or two for this to hit $20 New or cheaper during Holiday sales.